Learning the alphabet and the sounds they make is one of the first steps to teaching children how to read. One of the best ways to introduce letters is through books. 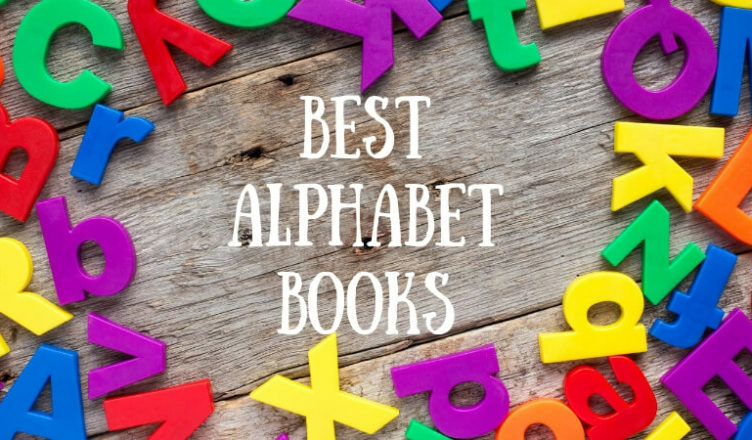 The plethora of ABC books out there can be overwhelming, so I have narrowed down our favorite books that celebrate letters. 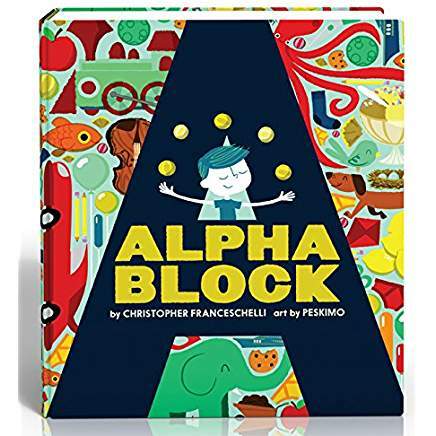 This brilliant board book is an excellent way to introduce the alphabet as well as some advanced vocabulary to babies and toddlers. Using short alliterative sentences, each letter is presented alongside an illustration displaying several objects that start with the featured letter. The items vary in color and size and most importantly they are raised off the page so that little hands can feel them as they listen and explore. A full list of all the objects is provided in the back, prompting children to return for several readings to discover every item. This book has withstood the test of time for a reason. 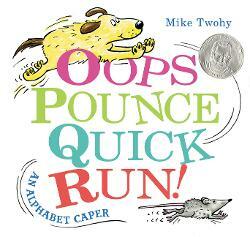 With its catchy rhymes and nonsensical artwork, this ABC book is irresistible. “Big A little a What begins with A? Aunt Annie’s alligator A a A.” This amusing board book is as fun to read aloud as it is to listen to. Its inclusion of capital and lowercase letters also gives children a nice exposure to both. This unique board book has die-cut holes that create the shape of a highlighted letter providing a sensory experience for children as they trace each line and curve. The cut-outs also allow readers to peek into the next page encouraging them to guess what object or animal the letter stands for. 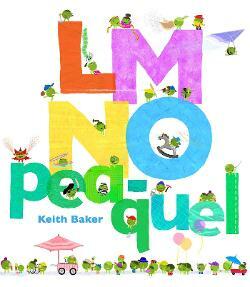 Vivid colors and interactive illustrations make this book a winner! This attractive board book uses raised letters and cut-outs to create an engaging tactile experience for young children. Toddlers (and adults!) won’t be able to resist running their hands over the brightly colored pages. Both my son and daughter love tracing each letter and proudly announcing the corresponding animal or object the letter represents. Feeling the raised letters allows children to begin to understand the shape each one takes. 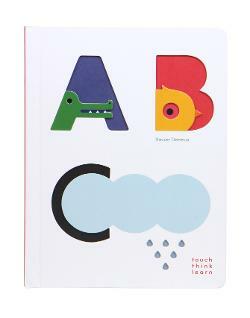 The formatting is larger than most board books, which makes it more sturdy and easier for little hands to explore. Full of action and fun, children just love this energetic ABC book. Each page features a letter with a corresponding word that describes an epic chase between a dog and a mouse. The words appear big and bold with the appropriate letter highlighted in a rich color. The white background allows children’s eyes to focus on the words and the comedic illustrations making this an entertaining read aloud. 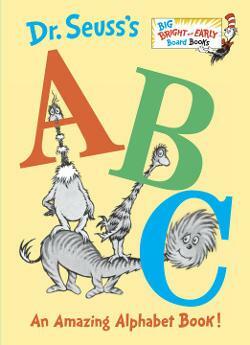 There is a reason this classic alphabet book is still read in preschools today. Its rhythmic text paired with Lois Ehlert’s signature artwork makes for a charming book that begs to be read aloud. 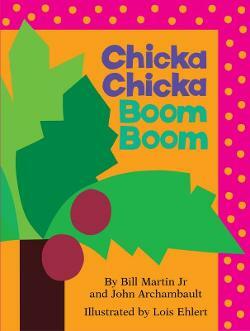 The story focuses on lowercase letters that climb a coconut tree. When they all reach the top, however, they are too heavy and fall into a pile. Parents represented by uppercase letters rush to help the little abc’s. Silly, fun, and perfect inspiration for extension activities, this book is a must-have. playfully teach children about letters, numbers, colors, and months is a staple for many classrooms and families. 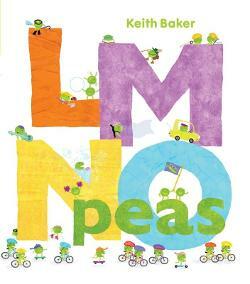 LMNO Peas presents uppercase letters while LMNO Pea-quel focuses on lowercase. Great for reading alone or pairing together, parents and teachers will love the advanced vocabulary weaved into the text and children will love the whimsical illustrations starring the busy peas performing tons of eye-catching tasks. There is also hidden ladybug on each page that adds to the fun. 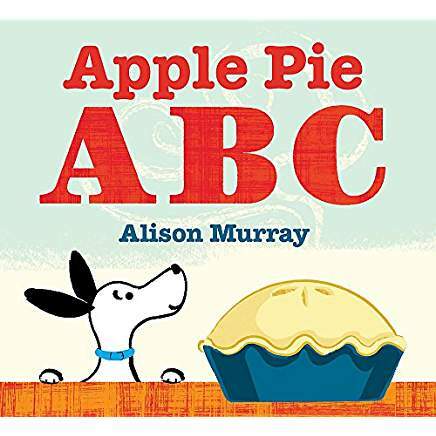 Highlighting each letter of the alphabet in big, bold, block letters, Apple Pie ABC uses only two or three words on a page to tell the story of a mischievous dog and his antics as he tries to sneak a bite of apple pie. The amusing storyline is brought to life by the retro-style illustrations making this an engaging read aloud. This is one of my family’s favorite fall reads, but it can be enjoyed any time of year! This memorable ABC book follows a busy mouse as he assembles the alphabet. He “airbrushes the A, buttons the B, carves the C” and so on. The rich vocabulary of verbs combined with brightly colored illustrations that are filled with action create an appealing alphabet book for children. 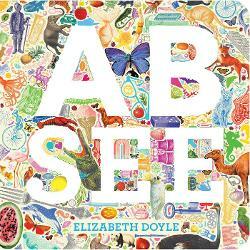 Stunning photographs of animals paired with the alphabet create a captivating educational ABC book. Each upper and lowercase letter is presented with a teasing picture of an animal. The next page reveals a full-bodied photograph of the creature with its name. Children will be clamoring to learn more about these fascinating beasts. Luckily, there is a glossary at the end that has additional fun facts about each animal. This striking book is perfect for sharing with a group of children or admiring the interesting details of each animal while snuggling one-on-one. 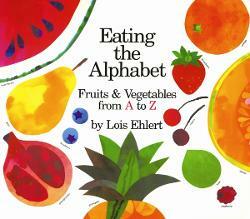 Lois Ehlert’s lovely watercolor collages take the stage in this standout alphabet book that not only celebrates letters, but fruits and vegetables from around the world. The name of each food is printed in uppercase and lowercase letters allowing children to view both. Children will love pointing out their favorite foods and learning about new ones. After a number of years searching the Florida coast, Leslie McGuirk discovered twenty-six rocks that resemble the alphabet. 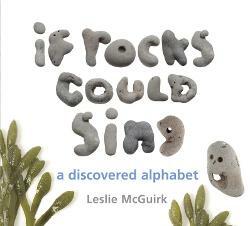 She cleverly combined them with rocks that look like other objects to create a truly fascinating and educational ABC book. In her author’s note, Leslie writes, “The natural world is rich with inspiration.” This is so true and so beautifully demonstrated in this enthralling book. It is not only perfect for teaching letters, but an excellent way to encourage children to use their imaginations and collect their own pieces of nature that resemble objects, letters, or numbers. 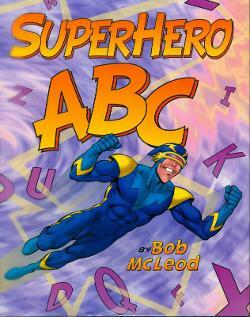 What better way to get kids excited about the alphabet than using superheroes to introduce them? With each letter of the alphabet, a new superhero is presented with alliterative descriptions of his or her powers. The characters are diverse and the large appealing illustrations make this a popular read aloud. In this ingenious ABC book, readers are challenged to put their phonemic skills to the test as they follow along on a humorous adventure. 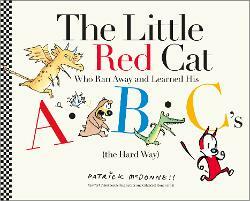 The story focuses on a little red cat who is chased by a myriad of animals through the alphabet. 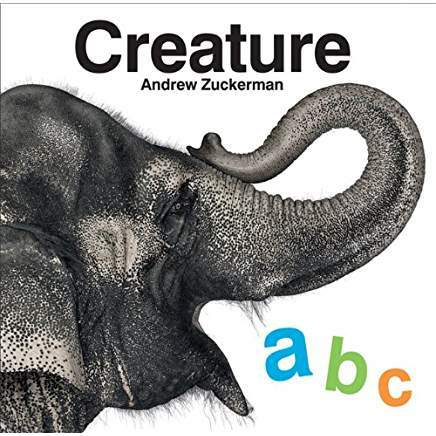 Using only the showcased upper and lowercase letters as text, children have to use the sound of the highlighted letter to identify the animal or object on each page. With its comical illustrations and zany storyline, this book is original, educational, and most of all a lot of fun. 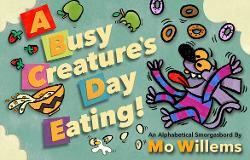 This hilarious take on an alphabet book stars a little purple creature who wakes up ravenous. He begins eating his way through the alphabet starting with apples for A and berries for B. He hesitates when he reaches the letter F, but quickly finds furniture to munch on. The story takes an unexpected turn as the monster begins to chomp on anything he stumbles upon edible or otherwise. The poor little creature soon becomes ill from his unusual diet and the second half of the alphabet is presented as remedies from his caring father. This quirky book will have children laughing out loud as they learn their ABC’s. 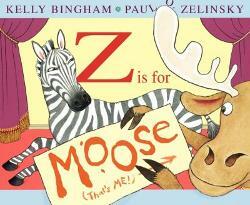 This clever new twist on an ABC book stars an impatient moose who can’t wait his turn in a parade of alphabetical objects and animals. The high-energy illustrations combined with a unique storyline make this ABC book an entertaining read aloud that stands apart from the rest. Since the alphabet becomes jumbled, however, it is best read to children who are already familiar with their letters. 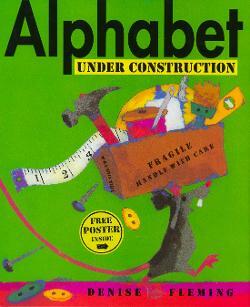 What is your favorite Alphabet book? Comment below! Great list! P is for Pterodactyl: The Worst Alphabet Book ever is a really funny one. And I’m 100% certain Sara O’Leary’s soon-to-be-released Owls are Good at Keeping Secrets is going to be special.